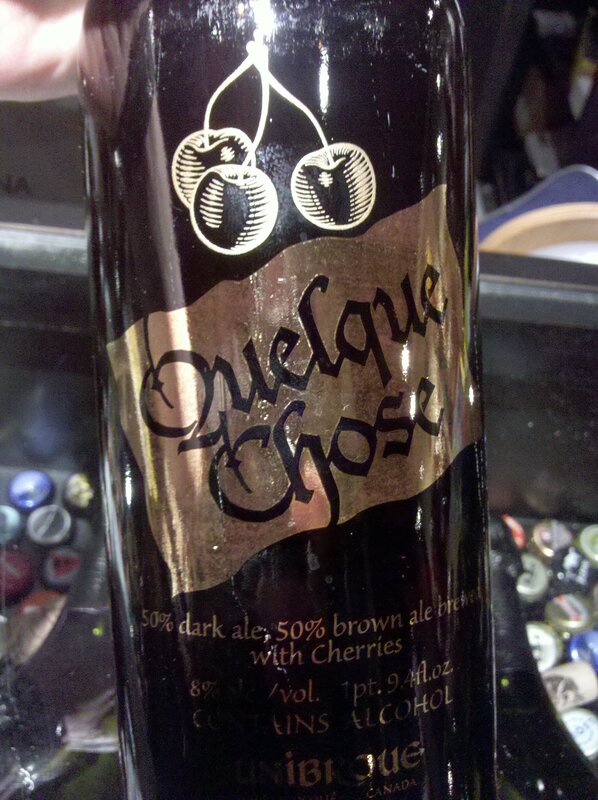 Quelque Chose is officially classified as a fruit/vegetable beer and uses a top fermenting ale yeast. Lots of wild dark cherries are added to this beer. They are soaked in a slightly bitter beer base prior to being blended into the final batch. Roasted dark malts round out Quelque to give you a roastly, sweet and sour cherry experience. However, this beer is a fun one to experiment with. The flavors you note will change with each way you drink it. So be sure to try it out and see how the favors change. (On ice, cold pour, hot.) To heat I suggest a saucepan. You get more aroma as your warm it. Quelque Chose was developed as a warm drink for cold winters. Quelque Chose is back for its limited engagement in 750 ml corked bottles, around $10 dollars a piece. 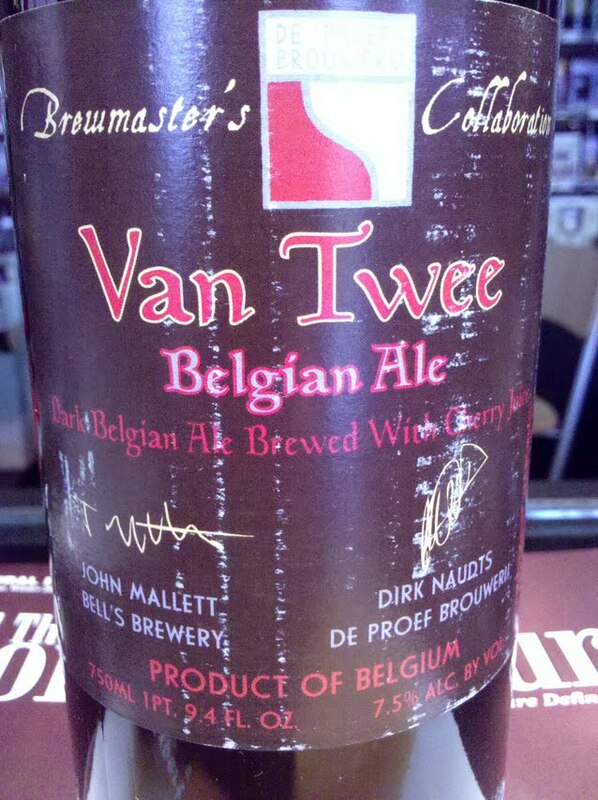 Highly doubtful that this beer will find its way to tap handles, but if it does trust me I’ll let you know. Grupo Modelo, founded in 1925, is the largest beer producer in Mexico, and as of 2008 was the 6 largest worldwide. Grupo Modelo owns 7 breweries throughout Mexico. You have seen Grupo’s brands — Corona, Victoria, Pacifico, Negra Modelo, Modelo especial, Modelo Light, Estrella, and Leon. 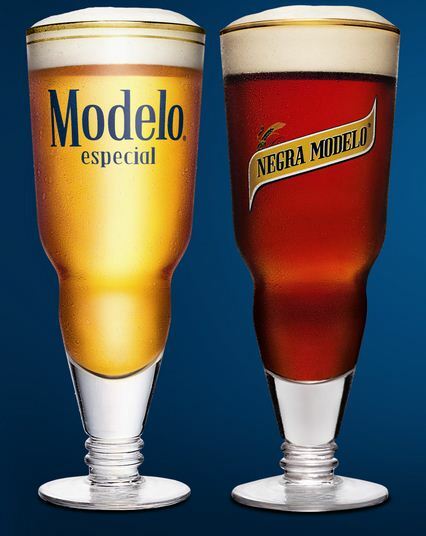 For the first time in the US, Negra Modelo and Modelo especial will be hitting tap handles. Negra Modelo was first introduced in 1926 solely on draft in Mexico. Brewed by Austrian immigrants, Negra is a Munich Dunkel Lager at 5.4 % ABV. Dunkel lagers originated in Bavaria, and are brewed with a generous portion of Munich malts. They are light brown or ruby in color, and are easy drinking without being overwhelming. You’ve seen Negra Modelo in short bottles with gold labels. Modelo especial was first introduced in bottles in 1925. This lager is stylistically classified with other popular lagers, such as Budweiser, Coors, and Red Stripe. As of the end of 2008, Modelo especial was the #3 imported beer in the US. Shiner fans get excited. Hitting Atlanta shelves today is Shiner 101. This offering by Spoetzl Brewing – Shiner, Texas is a traditional Czech-style pilsner. The pilsner is a pale lager that origniated in Pilsen, Bohemia – now modern day Czech Republic. Pilsners use pale malts and noble hops (low aroma, more for bittering) typically Saaz or Hallertau. This pilsner by Shiner is brewed with just 4 ingredients – water, barley, yeast and hops. The same way it evolved. If you walk into a bar and drink a new beer, and leave with just the knowledge of the taste — I guess that’s acceptable. 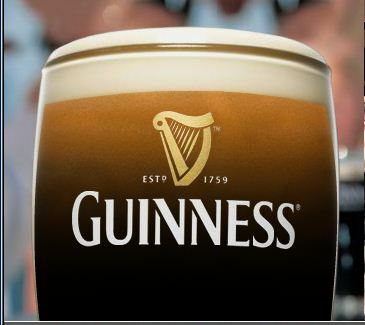 However if you want my honest opinion — there is a lot that goes into that glass that you may never know about. It has enjoyment to each sip. I don’t want to sound biased, but when you grab a can of a “factory beer” there’s not a whole lot to tell. Its mass produced, sold in bulk, and stays the same. Every time. I’d like to think these few paragraphs help make you a better beer drinker. You will look for something new next time, and know why you want it. There are a few bars/restaurants in Atlanta that add new selections weekly. For most, it’s another beer. But as I said before, there is a story behind each glass, and it needs to be told. So let this post be the first of a series that gives you the background to new additions to the selection in Atlanta. 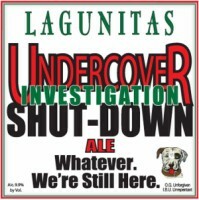 Recently, Brickstore Pub and some Taco Mac locations added Lagunitas Undercover Investigation Shutdown Ale. Funny name right? Well, it’s not just a witty name to try to get you to buy. A few years ago Lagunitas Brewery used to have party every week featuring their beers, a band or two, and food. From the sounds of it, a quite good party. Well, the state of California brought out the beverage control board to investigate these parties over the course of 8 weeks. Rumor has it the “undercover officers” enjoyed the party as much as the others in attendance. In the end, the California Alcohol Control Board (ABC) sited Lagunitas Brewery for running a “Disorderly House,” an antiquated post prohibition law to crack down on bars being the front for prostitution /drug rings. I have also found reports that an individual was caught smoking marijuana on the premises. (He brought it from the outside according to reports.) So, on St. Patrick’s Day 2005, ABC came through with its threats. Under California law, the brewery could have been seized but received a 30 day shutdown order (later reduced to 20 days.) Apparently Lagunitas was going to be shutting down temporarily to installing new equipment, so it really didn’t affect operations. Undercover Shutdown is a strong ale, coming in at 9.0% ABV. It has a taste of a double IPA, but it honestly it doesn’t have the strong taste you expect. It’s a little hoppy, but not to an extreme that an average beer drinker would be turned off from. Shutdown Ale pours light brown/gold, and is slightly bitter at first. It has a mild hop flavor with a hint of grapefruit at the end. I have seen quite a few people try it, and the response has been quite positive. So here is a little background on Lagunitas Undercover Investigation Shut-down Ale. Sometimes the story gives you a better appreciation for what you’re drinking. And maybe, just maybe — try something new.